Stuart Gabriel and his family. 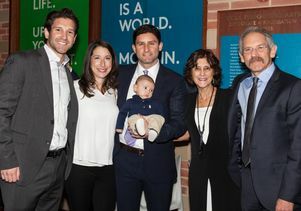 Starting at left: Oren Gabriel; Rachel Rosner, her husband, Jesse Gabriel, and their son, Ethan; Judith Katzburg; and professor Gabriel. 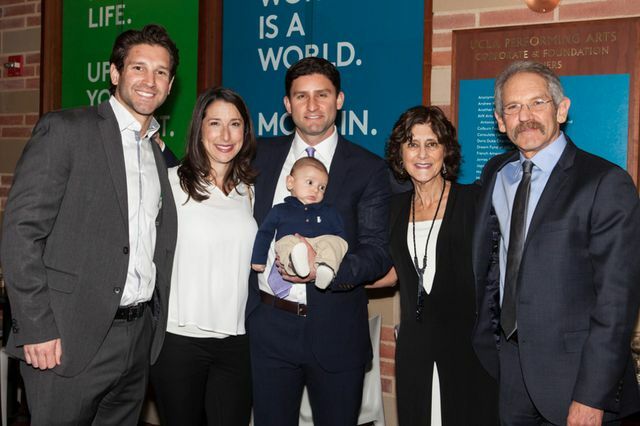 The UCLA Anderson School of Management knows professor Stuart Gabriel as director of the UCLA Ziman Center for Real Estate, the Arden Realty Chair … and a global citizen committed to tikkun olam, the Jewish obligation to repair the world. 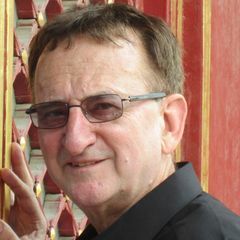 Gabriel has been a member of the volunteer board of JWW for more than 10 years. He and his family began hosting in-home parlor meetings to raise awareness and funds for the organization soon after its co-founding by Janice Kamenir-Reznik and the late Rabbi Harold Schulweis. JWW is watching conflict areas across the globe, paying particular attention to high-risk regions like the Democratic Republic of Congo and Sudan, and intervening with political action and boots-on-the-ground in-country education and health initiatives. Katzburg, a health services researcher known for her development of individualized, choice-driven smoking cessation programs for women, carries out humanitarian efforts to aid vulnerable populations, especially in the field of maternal and child health. She conducts free clinics locally and is working across organizations to build a national coalition against gun violence in America based on a public health model. The Gabriel sons have conducted fundraising efforts that include $36,000 raised by Jesse for a JWW project that provides solar cookers to Darfuri women living in refugee camps to eliminate their need to leave the relative safety of the camp for firewood. Oren, who now serves on JWW’s board with his father, organized a concert benefiting JWW when he was a student at UC Berkeley; he later volunteered in Rwanda at the Agahozo-Shalom Youth Village, where children of Rwandan genocide victims heal and are educated. This story has been adapted from the original in the UCLA Anderson Blog.